We all know that meal planning can save us money but trying to plan your grocery list and weekly menu isn’t always easy. Kids go through fazes of liking different food and between trying to keep to a budget and buying food everyone in the family will eat, it’s easy to see why most of us struggle to meal plan. 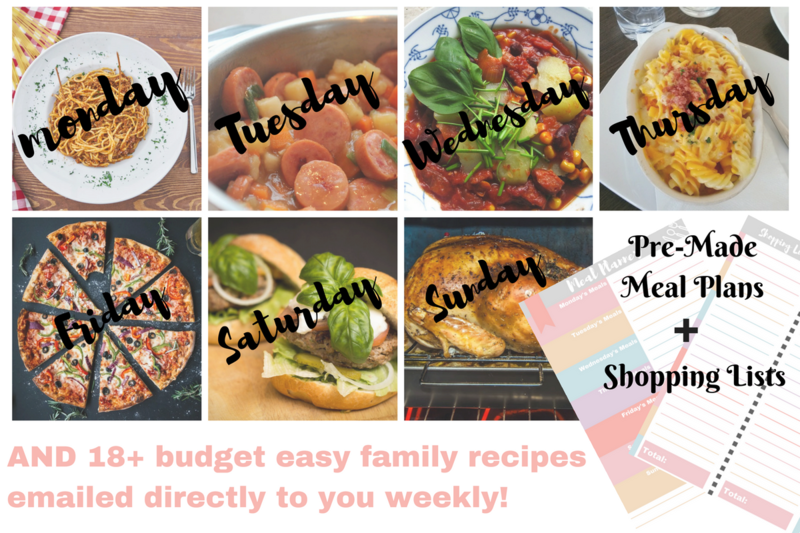 If you are having one of those weeks, and glancing at your blank weekly menu planner then keep reading, as we have 7 family meal planner templates to help you keep your budget down and meal plan quickly. Budget meal planning can be easily if you know how! If trying to find your own family meal ideas that don’t cost you earth is causing you a headache, then my new ring binder book “The Family Meal Prep Binder: Cheap Recipes For Families on a Budget” is for you. It has over 100 simple, budget recipes that don’t require any fancy gadgets or expensive ingredients. All the meals are “normal” family favourites that can be made in advance, from leftovers to Slimming World family-friendly meals that can all be used to build up your meal plan weekly to keep you on budget. You can also add to them. We’ve left pages at the back so you can write out your families favourites so you always have them to hand. This really is the ultimate family meal planner. 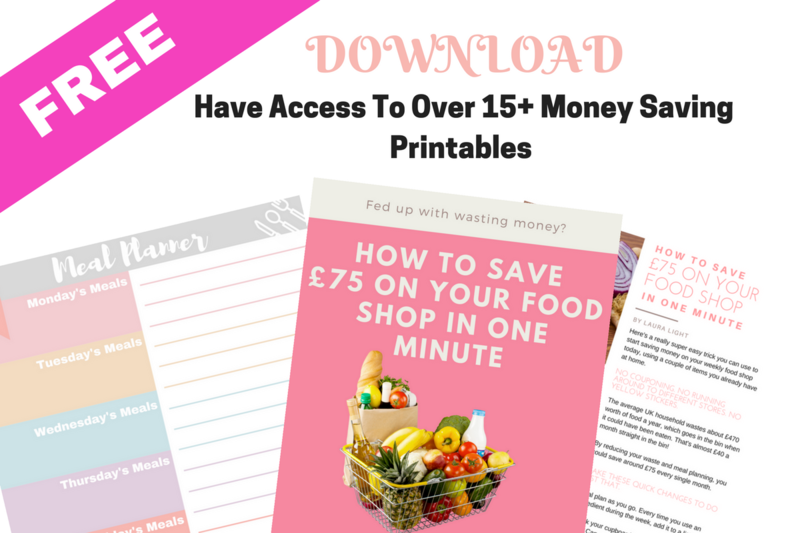 We are also offering all these recipes on Savings 4 Savvy Mums as extras in one big printable so you can print them at home (or buy for a small fee and sent to you by post) so you can add them to your binder yourself. Please enter your email address below to get updates. By joining us below you’ll also receive your FREE budget weekly menus & shopping lists PLUS 15 FREE money saving printables you can download straight away. Grocery shopping can be a breeze and cost you less than you think BUT only when you have a plan! 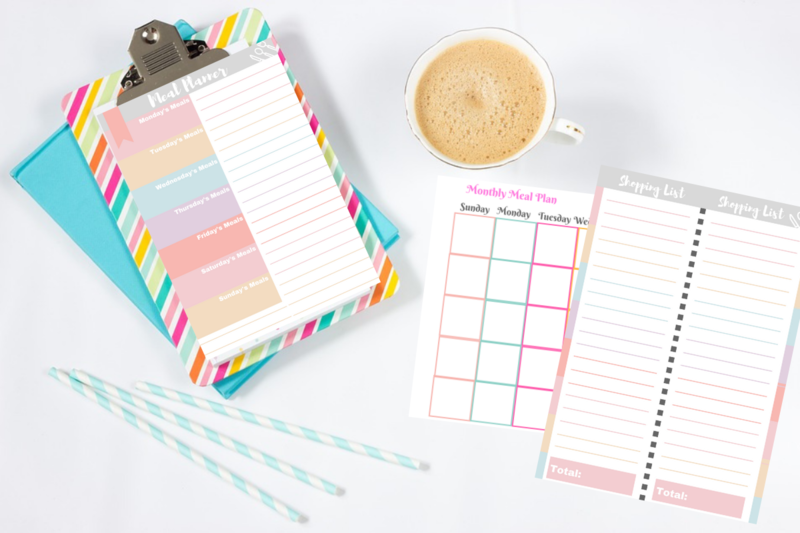 These 7 family meal planner templates will help you budget your weekly shopping and help bring your grocery bill down. They all made for families of 4 unless stated and all prices are based on Asda. Prices are correct on time of publishing. All our budget meal plans can be mixed and matched. The whole idea here is to give you some ideas so you don’t feel overwhelmed with that plain piece of paper or just leave without a plan!! You can also start saving your family that extra bit by looking at Muscle Foods, who offer fresh high quality meat delivered directly to your door at a price that you can’t compare to anyone else. Also, to add to your savings, make sure you use a cash back site like Top Cash Back. They also you cash back on anything and everything you buy online through them, and have some great new members offers that could help you save a good £50 off your shopping bill each month. Now, let’s start saving your family money and take away the thinking process that happens when you try and meal plan. This weekly shop for just £18 is perfect if you like simple food and need to cut your grocery bill down. Some of these meals make great leftovers as well. The £18 weekly grocery list can be found here. Looking for budget meals for the whole family? Then try these 15 awesome budget meals to feed the family for under £17, that’s just £2.50 a day. You can find £2.50 a day for a family of four grocery list here. Have a look at some of these meal ideas and just pick one or two a week to try and bring your bill down. You can always add or take away anything the kids don’t like. We also buy bigger packs of meat and freeze them for multiple meals that week to make sure that the meat is used and reduce our shopping bill spend. You can find the full shopping list for the £16 meal plan a week here. It’s not easy to ensure your whole family are getting the right nutrients, especially if some one in your family has a dairy intolerance. This really easy vegan meal plan is for beginners who have a family of fussy eaters and who need to curb their spending. None of this is set in stone, and can be changed up depending on what your family like to eat. Grab the vegan meal plan grocery list here. This whole meal plan id for the whole family and comes in at under £25 excluding drinks. You will have some leftovers, so using something like our leftover app all these can be used in other meals or frozen. You can find our Vegetarian Slimming World grocery list here. L: Omelets with handful of frozen vegetables. D: Grilled chicken kebabs (with mushrooms, onions and peppers on skewers in soy sauce and garlic) served with boiled rice. D: chicken stroganoff – fry onion, garlic, celery, pepper, carrot in fry light. Add chicken, mushrooms and paprika and fry until cooked. Remove from heat then add fat free natural yoghurt – lovely with rice! So once or twice a month I let the kids pick our menu out of my tub of budget recipes. The full list of cooking on a budget recipes are here but we have loads in our Resource Vault as well. Still lacking inspiration but unsure what to do? Then Budget My Meals is for you. We give you plan templates that take all the thinking away. We can create your budget weekly menus, shopping lists and send you the recipes every week so you don’t even have to think about it. If creating your own budget weekly menu is giving you a headache, then Budget My Meals is for you. We can create your budget weekly menus, shopping lists and send you the recipes every week so you don’t even have to think about it.